Typhoon fighter jets were scrambled from RAF Lossiemouth in Scotland to intercept two Russian Tu-160 Blackjack bombers, the British Ministry of Defense said on Thursday. While the Russian planes “at no point did…breach British airspace," the MoD says they were flying near a UK “area of interest” and thus were escorted by the Typhoons until they safely left the vicinity. 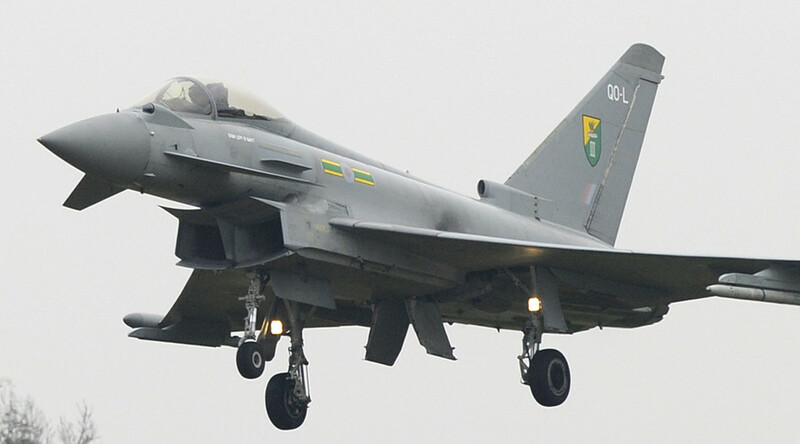 This incident is the latest in a series of encounters between the Russian and UK air forces, which have taken on a tenser atmosphere since the start of the Ukraine crisis. According to statistics obtained by the Mirror in February, between 2010 and 2015 there were 102 instances of Quick Response Aircraft being scrambled by the Royal Air Force, 50 of which were in response to Russian planes. The rest of the encounters were mostly with civilian aircraft. 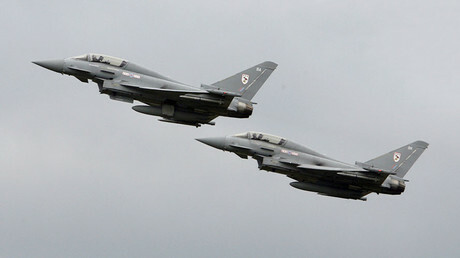 RAF fighters have also been scrambled from NATO bases in Eastern Europe, in particular in Poland and the Baltic States. On May 17, British fighter jets from Amari Air Base in Estonia intercepted two Sukhoi Su-27 fighter jets who were allegedly “operating without transmitting recognized identification codes nor were they communicating with regional air traffic control centres," according to a statement on the MoD website. NATO members regularly accuse Russia of flying ‘provocative’ missions close to their borders while doing the same near Russian borders. Moscow says all its flights conform to international laws and do not violate any nation’s sovereignty. One of the latest such episodes came earlier this month, when two US spy planes with transponders switched off flew towards the Russian border over the Black Sea and were intercepted by Russian fighter jets. The Russians closed in on the Americans to identify the aircraft, a maneuver that was labeled unprofessional and dangerous in Washington. The US spy planes’ approach happened despite the efforts by Russia and NATO to defuse tension over surveillance missions in international airspace. For instance, in July, Russia suggested both its and NATO's spy planes kept their ID transponders on during missions, as a trust-building measure. The effort did not succeed in deescalating the situation.